Cyberbullying is a vicious attack, usually on a vulnerable young person, and has the potential of doing lasting psychological and emotional damage. Besides direct attacks, bullies can use the same tactics as other hackers to gain access to a person's computer and use anything private that might be embarrassing against them, either by posting the info online or by blackmailing the victim. Ransomware encrypts your files and demands a payment in untraceable bitcoins within a certain period in exchange for the electronic key to unlock them. I've personally known several victims of ransomware. 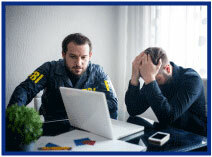 One person paid and had his files unlocked, others did not and either lost the data or recovered the information using back-ups The FBI does not recommended paying the ransom, stating, "Paying a ransom not only emboldens current cyber criminals to target more organizations, it also offers an incentive for other criminals to get involved in this type of illegal activity." Other forms of personal cyberattack are less well-known, but are broken down by AIG with this set of case studies. AIG's CyberEdge not only provides coverage beforehand but offers credit monitoring and fraud prevention as well as identity protection information and resources to head off attacks, plus a 24/7 hotline. For your clients with greater levels of risk, AIG offers reduced rate access to K2 Intelligence which includes a holistic assessment, best practices and training for family members, and more. AIG's Private Client Program and is available to registered members in all states. Cyber your way over to Big "I" Markets and click on Affluent Program - New Business to learn more! We appreciate the dedication it takes to build a unique collection-of artwork, jewelry, wine, antiques or virtually any other rarities-and we share your attention to detail when it comes to insuring it. AIG Private Client Group, a division of the member companies of American International Group, Inc. (AIG), can curate a thorough plan to safeguard your prized possessions, as if they were our own. Please join us to learn more about the AIG Private Collections program. With ransomware the usual target is an individual, and the average demand is a few hundred dollars. Now businesses are being targeted more often due to the higher potential payout. Unfortunately since you are dealing with criminals there is no guarantee that your files will be unlocked, as this Kansas hospital discovered when they received a second payment demand. Even the police aren't immune as the D.C police were hit with a ransomware attack just before the inauguration and the Cockrell Hill police lost some of eight years of evidence. CNA is available in all states except AK and HI. For more information, log into www.bigimarkets.com and click on Small Commercial Standard Markets or contact Big "I" Markets commercial underwriter Tom Spires at tom.spires@iiaba.net or (800) 221-7917. Tuesday, February 28 - 2:00 - 3:00pm EST. "Chubb Masterpiece - Overview ". Meghan Jackson, DC Business Development Manager for Chubb Personal Risk Services, will present a 'back to basics' view of the Chubb Masterpiece policy and contrast it with the ISO contract. 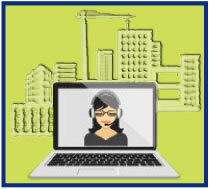 The first webinar in what will be a larger educational series will review the various property policies offered (deluxe home, condo, co-op, city home, and vacation home) and the bells and whistles that come with each one. Click here to register. Wednesday, March 1 - 2:00 - 3:00pm EST. "AIG Private Client Group - Collections". Join Lisa Gelles, AIG Private Client Group Business Development Manager as she breaks down AIG's Private Collections product. She will discuss the various coverages and services provided to your clients for their valuable collections. Click here to register. Congratulations to our agent in Tennessee on a Wrap+ Executive Liability sale of $15,836 in premium!